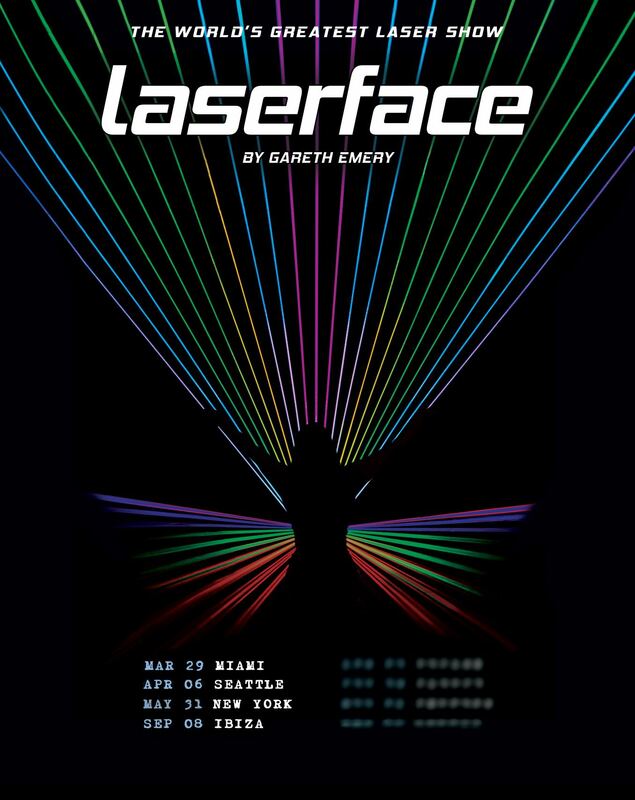 Laserface is the mind-blowing live show featuring the music of Gareth Emery perfectly choreographed to the lasers of globally renowned lasers designer Anthony Garcia. A perfect marriage between music and technology, the show features previously unprecedented numbers of lasers alongside bleeding-edge new technologies exclusive to the show, lovingly assembled by a dedicated 50 person crew in some of the world’s finest arenas, festivals, and theaters. In 2018, Laserface has hosted shows ranging from the 8,500 Bill Graham Civil Auditorium in San Francisco to the 4,000 PNE Forum in Vancouver, with the most recent show the production’s first festival headline at the 15,000 capacity Dreamstate festival in Southern California. 2019 plans include a raft of next-generation lasers integrated into the production and an ambitious plan to take the show worldwide to over ten cities. Watch some of the show’s videos on YouTube and get excited: the world’s greatest laser show is just getting started.